You know it’s spring in Ontario Parks when you discover these 10 signs. Lori Waldbrook of Ontario Parks has put together this list, starting with seeing moose that are salt-depleted by the end of winter. They head to roadside ditches to lick up road salt especially along Highway 60 in Algonquin Provincial Park. Then there’s hearing the great horned and eastern screech owls and seeing mourning cloak butterflies in forests on sunny days and spotting spring tails, tiny insects that look like black powder on patches of snow and downed wood. Listen for a chorus of spring peepers – tiny frogs on warm evenings – seeing the sap flow and turning into maple syrup, hearing the chickadees sing and the tundra swans return en route to the Arctic. You can see buds forming on trees during a spring park hike and see experienced paddlers on an ice-out adventure with higher water levels that allow them to explore areas not accessible by canoe or kayak in the summer. 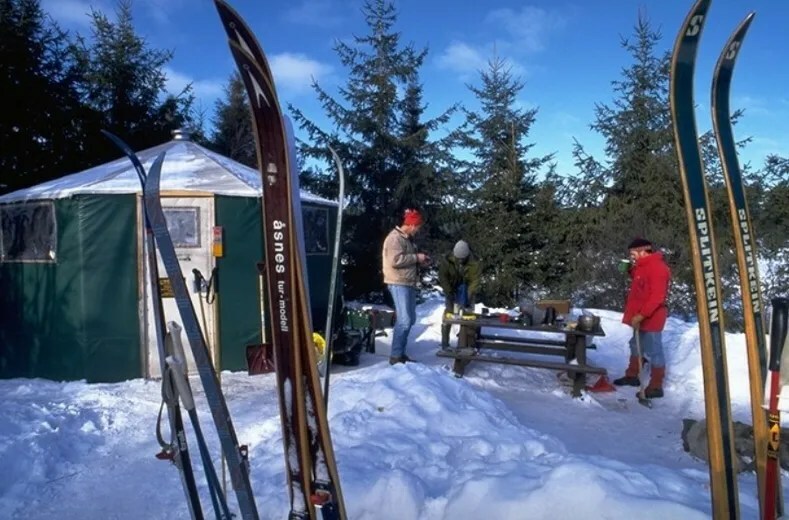 More details on the Ontario Parks blog. TORONTO, March 5, 2015 /CNW/ – There is no better time than now to explore the great outdoors and tourism experiences in Northern Ontario. 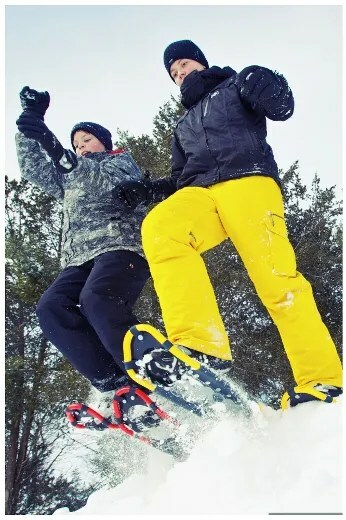 Through its current marketing campaign, the Ontario Tourism Marketing Partnership Corporation (OTMPC) is encouraging visitors to “Explore the Possibilities in Northern Ontario” in 2015. Working with tourism partners from Northern Ontario, the OTMPC campaign shares the endless, unique and awe-inspiring opportunities available in the North. A key piece of the marketing campaign is the distribution of 810,000 copies of the new Explore the Possibilities in Northern Ontario magazine. The magazine contains a distinctive ‘flip-the-book’ feature with half of the publication dedicated to activities across Northern Ontario’s regions and half dedicated to specific avid experiences such as angling, hunting, power sports touring and outdoor adventures. The campaign is targeted at visitors from across Ontario, Manitoba, Quebec and the United States. Northern Ontariowill be prominently featured at trade and consumer shows focussed on activities popular in the north such as fresh-water fishing, kayaking adventures and motorcycle touring. Urban areas of the North are providing travellers with ideas: visitors can enjoy a boat ride with beautiful scenery during the day, followed by a delicious culinary dinner and festival concert in the evening. The magazine will also be directly distributed over the next few months to outdoor enthusiast subscribers of magazines such as Outdoor Canada, Maclean’s, Our Canada and National Geographic Traveler (U.S.). Tourists are encouraged to visit www.ontariotravel.net/north to obtain more information on Northern Ontario tourism experiences and packages. 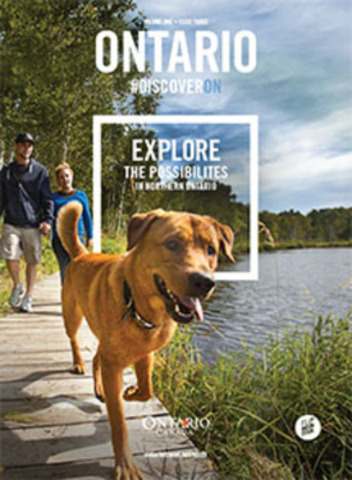 Visitors can obtain Explore the Possibilities in Northern Ontario magazine from an Ontario Travel Information Centre, by calling 1-800-ONTARIO, at SAIL stores throughout Ontario and by download. To jointly market the North, OTMPC works in partnership with Regional Tourism Organizations (RTO) Tourism Northern Ontario and Explorers’ Edge, and Northern Destination Marketing Organizations. Visitors are encouraged to share their Ontario tourism experience on Twitter using the hashtag #DiscoverON. Tourism is an important economic driver. 2012 figures indicate that tourism supported over 359,400 jobs and generated$28 billion for Ontario’s economy. Ontario Tourism Marketing Partnership Corporation is an agency of the Government of Ontario with a vision to positionOntario as a preferred global destination. Learn more about Northern Ontario adventures and experiences. Enter the Great Canadian Boreal Forest Adventure Contest. Learn more about OTMPC, its programs and partnership opportunities. If you do not wish to receive electronic messages regarding OTMPC news, please e-mail otmpc.news@ontario.caindicating “unsubscribe”. Lily Pad Lake Trails, located near gimak Beach offer three kilometers of trail surrounding Lily Pad Lake. The trails are well maintained and provide excellent chances to view birds and wildlife. For trail maps or to find out more about Lily Pad Lake visit the Ignace Tourist Information Centre.